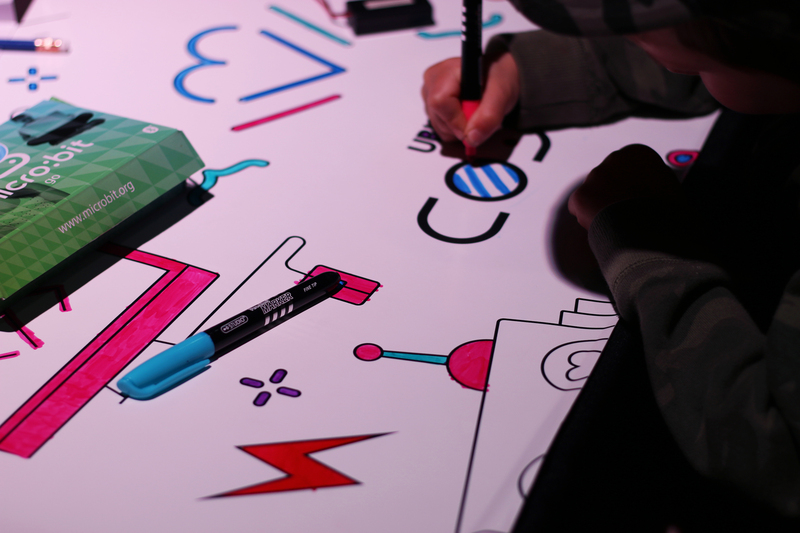 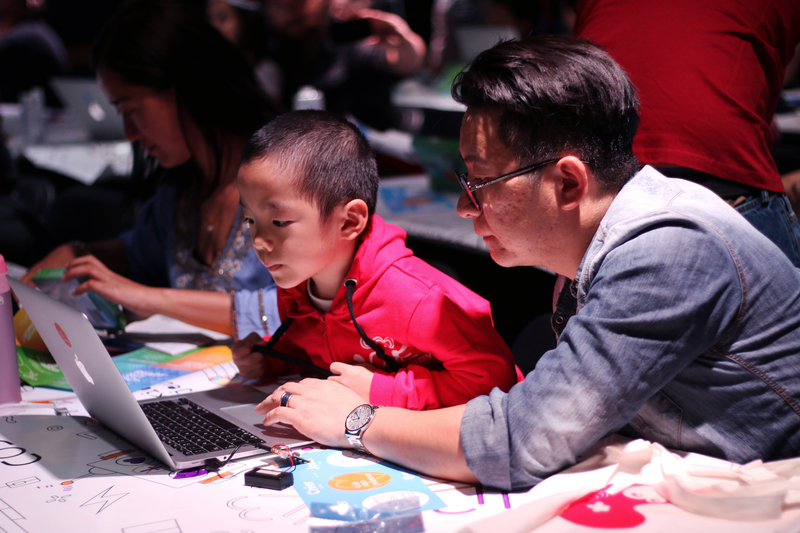 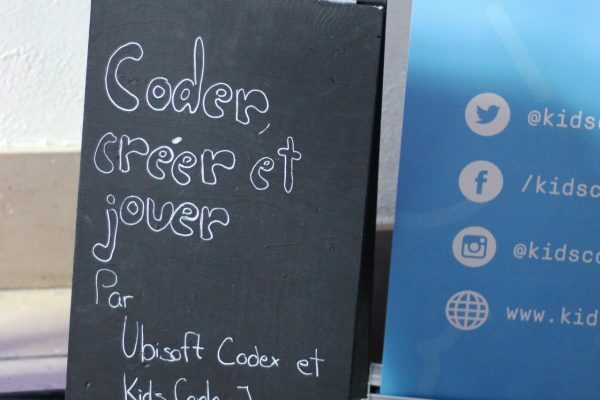 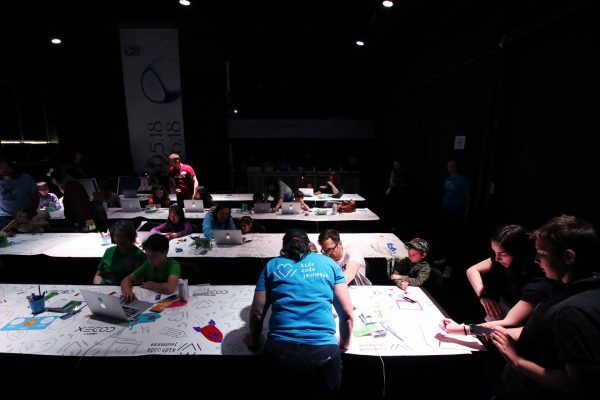 Code, Create and Play: this was the theme for the programming workshop presented by Ubisoft Montreal and Kids Code Jeunesse to a crowd of about 100 young creatives at Chromatic Kids on Sunday, May 27. 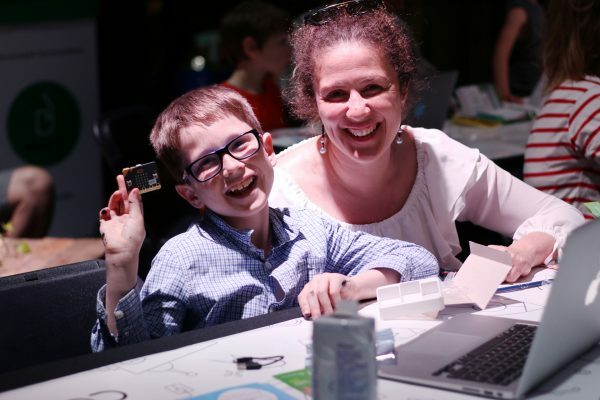 Kids aged 8 to 12 and their parents were invited to play with the BBC micro:bit, a small programmable computer that makes learning code easier. 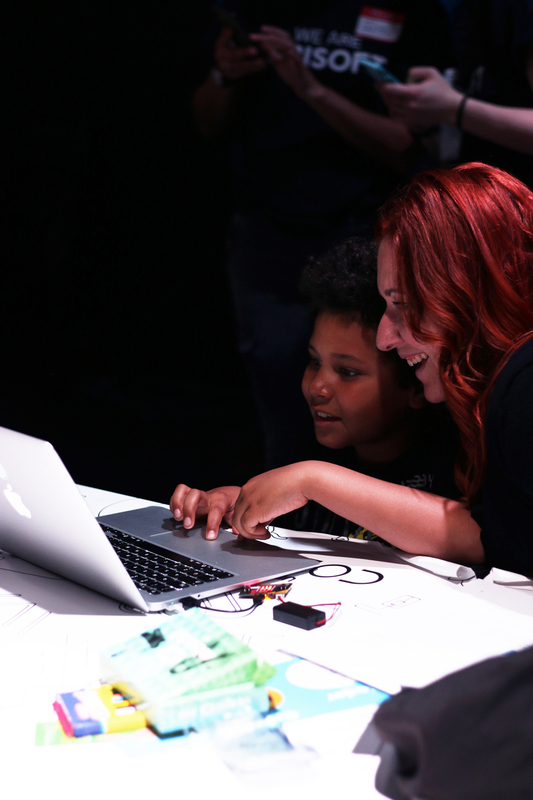 After giving free reign to their creativity on the computer, the budding programmers were able to see the results on the micro:bit LEDs. 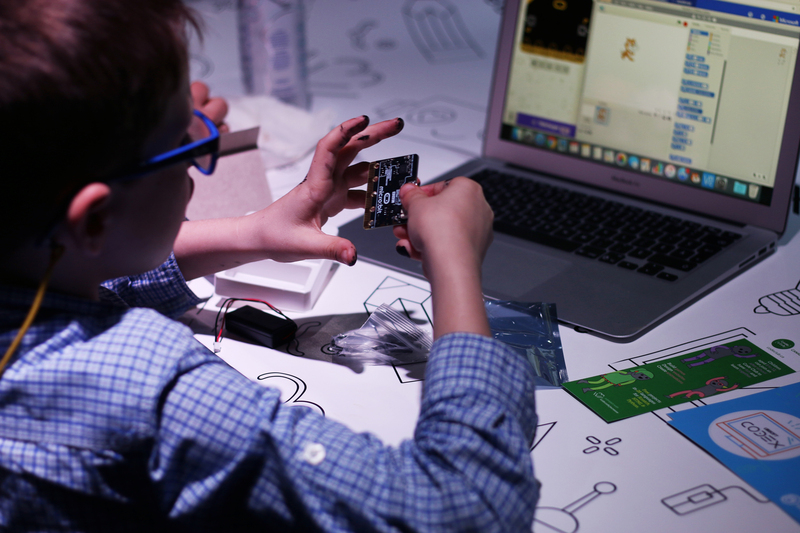 To top it off, they got to keep their new BBC micro:bit to continue their creative projects at home. 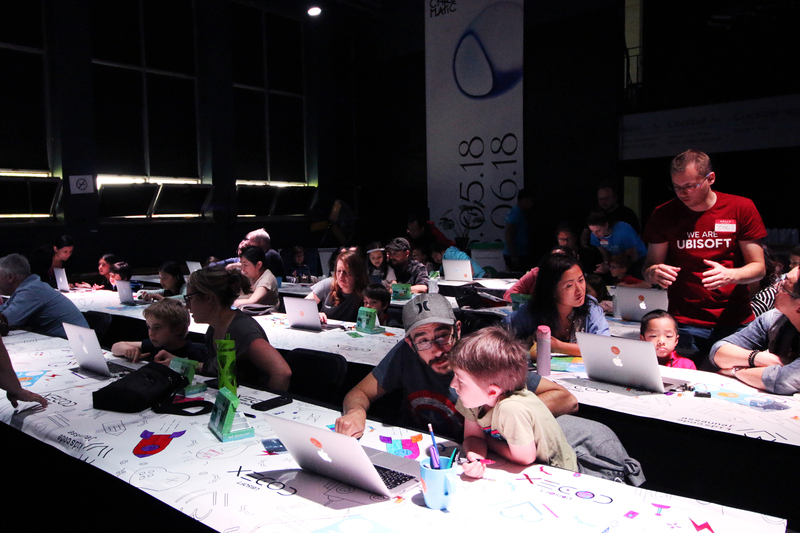 In all, more than 3,000 visitors dropped by the former Montreal School of Fine Arts last Sunday to celebrate Montreal’s creative art scene at Chromatic Kids. 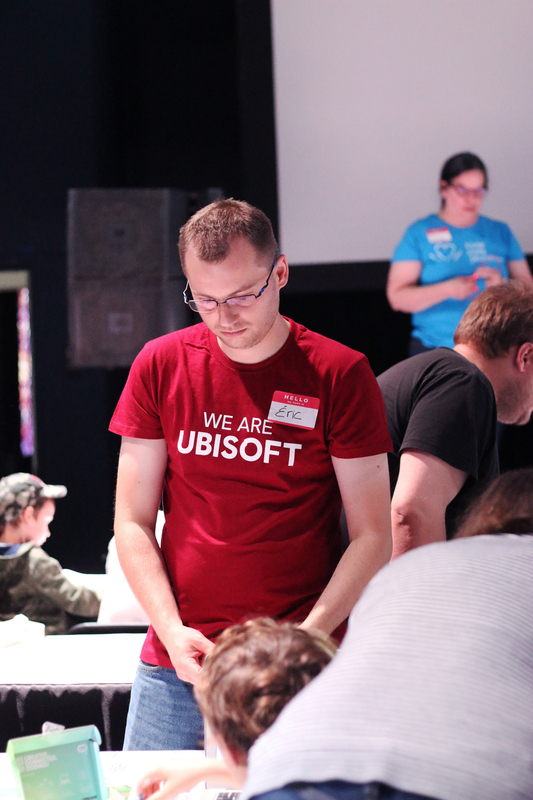 In addition to Chromatic, Eric gives time to Kids Code Jeunesse alongside three other Ubisoft colleagues by supervising the Code Club held on Wednesdays at the Marc Favreau library, steps from the studio. 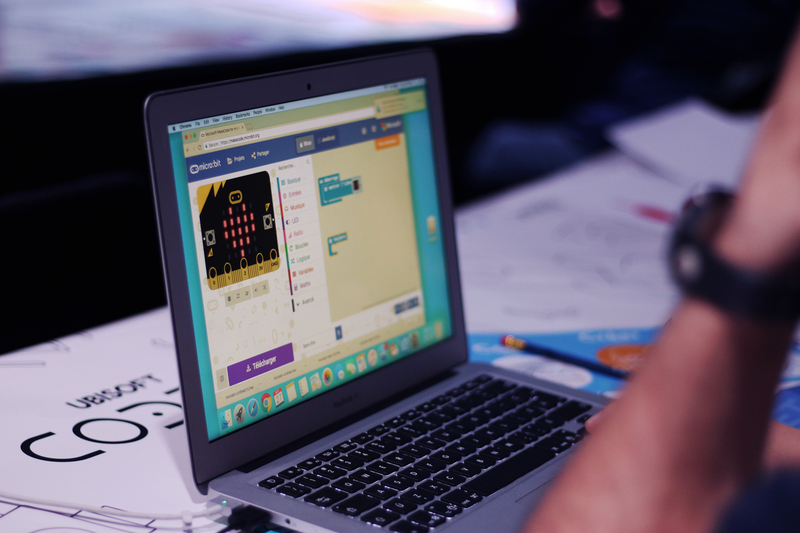 This extracurricular activity allows a dozen kids aged 8 to 12 to explore coding using Scratch over a period of ten weeks. 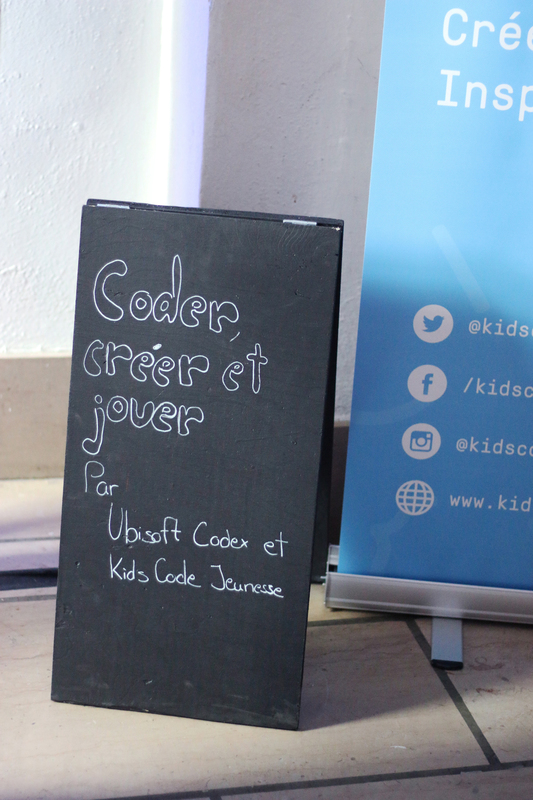 If you would like to discover all the coding workshops available in your area, visit Kids Code Jeunesse or Code Club Canada. 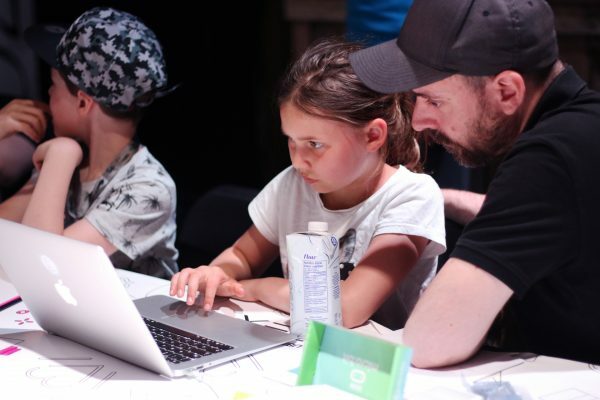 Special thanks to Nathalie Dubois, Ambre Lizurey, Alexandre Loisel, et Mathieu Naud who generously give their time to Kids Code Jeunesse workshops.